Anxiety and depression—two unique conditions that often co-exist—are common responses to chronic illnesses such as neuropathy that deserve attention and need to be screened for and managed . Left untreated, these conditions can slow the treatment of each other and worsen physical and psychological disability, thus increasing neuropathy’s burden by making managing neuropathy even more of a challenge. Depression is described as prolonged sadness and loss of enjoyment in life. 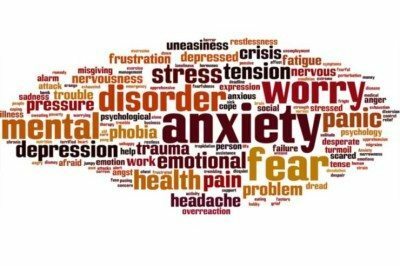 Anxiety is usually a result of fearfulness regarding possible future events and the uncertainty surrounding those events. People with neuropathy may experience anxiety, depression, or both at different times. Uncertainty regarding the underlying cause of neuropathy, loss of functional ability, pain, and concern about how the neuropathy will progress are all part of coping with neuropathy that can cause anxiety and/or depression. Studies have shown that medical costs associated with caring for people with neuropathy, who concurrently have anxiety, depression, or both are higher than for those who do not. You are also more likely to go to the emergency department or be hospitalized if you are anxious or depressed. The more painful your neuropathy is, the more likely you are to experience anxiety and/or depression. Neuropathic pain symptoms may seem worse during the night, causing you to lose sleep, and this can worsen both the anxiety and the depression as well as the symptoms of neuropathy . Feeling that you have little control over your symptoms, not being able to participate in activities you normally enjoy, and changes in your social life may contribute to anxiety and depression . The COPE problem-solving approach was developed to help patients with cancer and their caregivers manage symptoms at home,  but it can also be used to manage other chronic diseases such as neuropathy as well as its comorbidities. I have shared this approach with the Tampa, Florida-based neuropathy support group I coordinate to help patients and their family members and friends; I also use it in my own life. You have probably used the COPE problem-solving approach in your own life without realizing it. Sue has neuropathy and after a series of evaluations and tests, her neurologist was unable to identify the underlying cause. Sue has been attending a local neuropathy support group for a few months; she met a woman at a recent meeting who just learned that she has a progressive and life-threatening illness. Sue starts to worry and become anxious that since she has many of the symptoms described by the woman she met, she too may have a similar illness. Creativity: Sue could think back to the times in her life when she may have been anxious and recollect how she took back control of the situation and what she did to get through it. She could also try talking to others who have had anxiety for ideas about how they overcame their feelings. Planning: What plans could Sue make to help relieve her anxiety? Sue recognizes that her anxiety seems to increase when she is alone or when she is idle. She could plan to spend more time visiting with family and friends. She could also plan a new home decorating project so that when she has time alone, she can spend it thinking about her project instead of worrying and getting anxious. Additionally, Sue could plan to consult with her neurologist again to ask him his opinion of the seriousness of her illness and any additional questions she might have. Expert information: In addition to consulting with her neurologist, Sue could also plan to partner with a counselor or a psychologist for additional help with coping. Looking up information on methods to alleviate anxiety may also be helpful as long as they come from reliable sources. Neuropathy affects your ability to live and work the way you once could. As such, treatment strategies should address all the areas of your life that are affected by neuropathy as well as the co-existing conditions such as anxiety, and depression. You will need a multidisciplinary approach to care and so partnering with the right team of health care providers is key. You will also find support from patient advocacy organizations such as The Neuropathy Association and from outreach to your peers via support groups. Jain, R., et al., Painful diabetic neuropathy is more than pain alone: examining the role of anxiety and depression as mediators and complicators. Current diabetes reports, 2011. 11(4): p. 275-84. Boulanger, L., et al., A retrospective study on the impact of comorbid depression or anxiety on healthcare resource use and costs among diabetic neuropathy patients. BMC health services research, 2009. 9: p. 111. Gore, M., et al., Pain severity in diabetic peripheral neuropathy is associated with patient functioning, symptom levels of anxiety and depression, and sleep. Journal of pain and symptom management, 2005. 30(4): p. 374-85. Vileikyte, L., et al., Diabetic peripheral neuropathy and depressive symptoms: the association revisited. Diabetes Care, 2005. 28(10): p. 2378-83. Bucher, J., P. Houts, and T. Ades, The Complete Guide to Family Caregiving2011, Atlanta: American Cancer Society. Chesney, M.A., et al., Coping effectiveness training for men living with HIV: results from a randomized clinical trial testing a group-based intervention. Psychosom Med, 2003. 65(6): p. 1038-46. Carver, C.S., M.F. Scheier, and S.C. Segerstrom, Optimism. Clinical psychology review, 2010. 30(7): p. 879-89. Dr. Tofthagen has dedicated the last 20 years of her professional life improving the health and well-being of people with cancer and CIPN (Chemotherapy Induced Peripheral Neuropathy) Dr. Tofthagen’s research focuses on discovering innovative ways to decrease symptoms and improve the physical and emotional health of persons with CIPN, and helping clinicians better understand the symptoms of CIPN and its deleterious effects on functioning and quality of life. She currently holds leadership roles in several organizations including Oncology Nursing Society (ONS) and Neuropathy Association’s Neuropathic Pain Management Medical Advisory Council. Dr. Tofthagen is a postdoctoral fellow at Dana-Farber Cancer Institute and the University of Massachusetts Boston; and a reviewer for the Oncology Nursing Forum and associate editor for the Oncology Nursing Society website. She also leads a neuropathy support group in Tampa, Florida, coordinating with The Neuropathy Support Network, to help people with neuropathy and their family and friends in the community better understand neuropathy and find support.